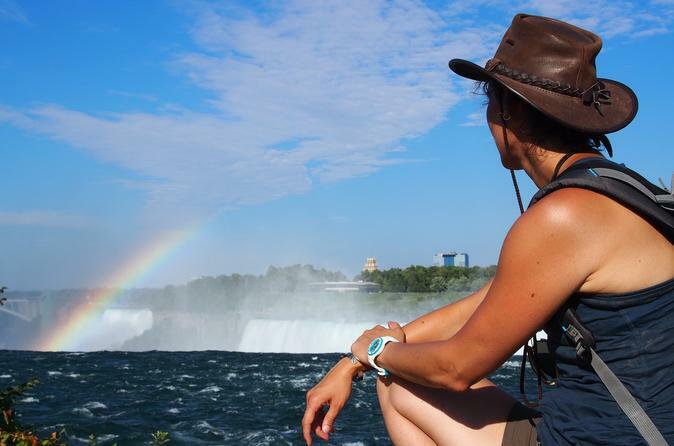 Discover the majesty of Niagara Falls on this day trip from New York City. Just 60 minutes is the flight time for a trip from NYC to Niagara, where you'll enjoy fun-filled sightseeing, shopping, dining and touring. Your trip includes lunch, airfare, all transfers and tickets to the famous Maid of the Mist sightseeing cruise, and a helicopter sightseeing trip.